Contextual meaning says ” relating to or determined by or in context”, so when it’s about contextual advertising it means the Ads shown as per the content of the webpage is contextual advertising and the targeting is called contextual targeting. It is also a kind of targeted advertising in which Ads are always shown as per the contents present on a webpage, e.g. if a user will be on a sports website he will be shown Ads related to sports, if in any entertainments site he will be shown Ads of movies, music, etc. Contextual advertising is also called “In-Text” advertising or “In-Context” technology, In-Text advertising has a small difference i.e. it works when a specific word or keywords within the text of a web-page are matched with advertising and/or related information units. To define in one go “Contextual targeting is a technique in which the web page is scanned to show the relevant Ad as per the content on the page”. The advertisements themselves are selected and served by automated systems based on the content displayed to the user.Contextual Advertising is in huge demand today as it brings good profit in return plus it’s the latest online advertising technological advance and allows a company to place advertisements in major websites and portals that are carrying relevant content for their product or service which thereby bringing good response. We have a number of categories defined but as per IAB standards, the list can be of 23 top-level categories and around 200 categories in total (including subcategories). 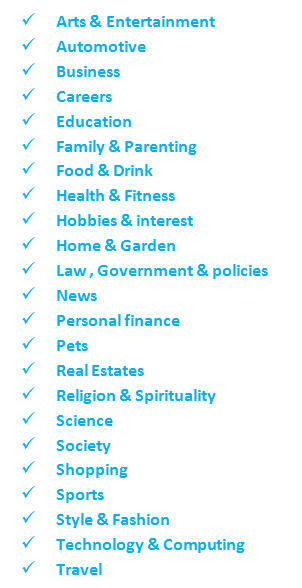 Within these, we have a number of sub-categories which can be targeted too. How does CONTEXTUAL TARGETING works? Contextual targeting generally works through a piece of code that you put on your web pages. 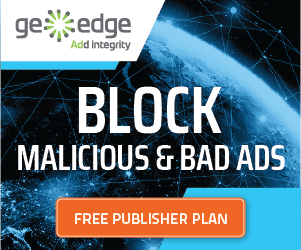 The function of the code is to look through what is on the page and pull relevant ads from the company sponsoring the contextual targeting, which it then places on the site. Say an Ad Network is having a contextual targeting of sports channel for a particular product say a badminton racket and a publisher say ESPN sports has embedded a code ( helps in contextual targeting ) in his page to show Ads related to its content. So whenever a user who shows interest on badminton page of the ESPN site, automatically the Ads related to the same context will be pulled up from the Ad Server to be shown on the page. Interested in buying inventory from your platform. Please put us in touch with the right contact.